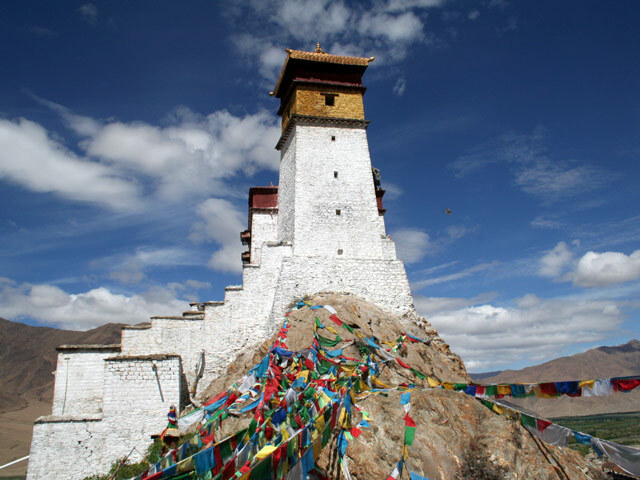 Located in the middle and lower stretches of the ancient Yarlung Valley, formed by the Yarlung Tsangpo River, the Shannan Prefecture is known as the birthplace of Tibetan civilization. 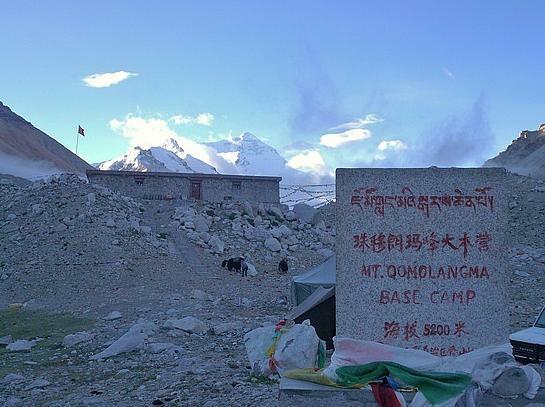 It is bounded by prefectures of Lhasa on the north, Nyingchi to the east, Shigatse on the west, and the International border with India and Bhutan on the south. 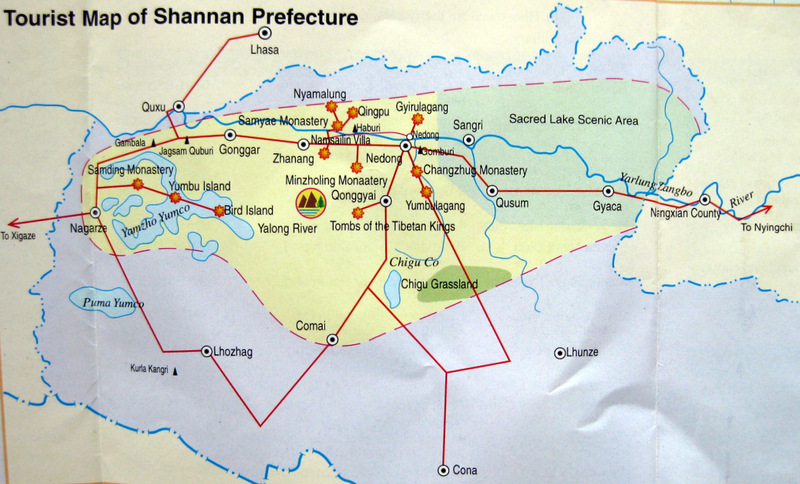 The prefecture measures 420 kilometres (260 mi) east to west and 329 kilometres (204 mi) from north to south. 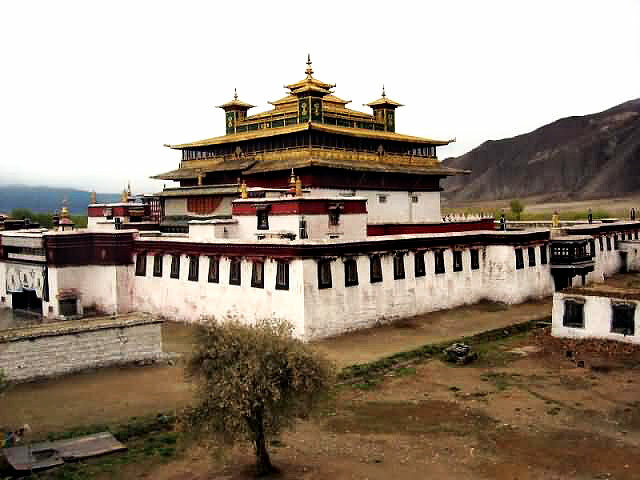 Its uniqueness is because the first farmland, the first palace and the first Buddhist monastery of Tibet are all located in the prefecture. 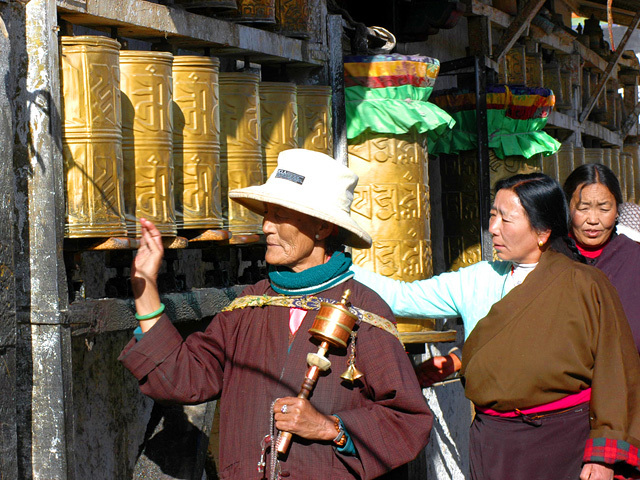 It also has the distinction of holding the first Tibetan opera.Ethnic Tibetans constitute 98% of the population and the balance 2% comprise the ethnic groups of Han, Hui, Monba, Lhoba and other nationalities.It has 12 counties and its capital is Tsetang town, which is located 183 kilometres from Lhasa. 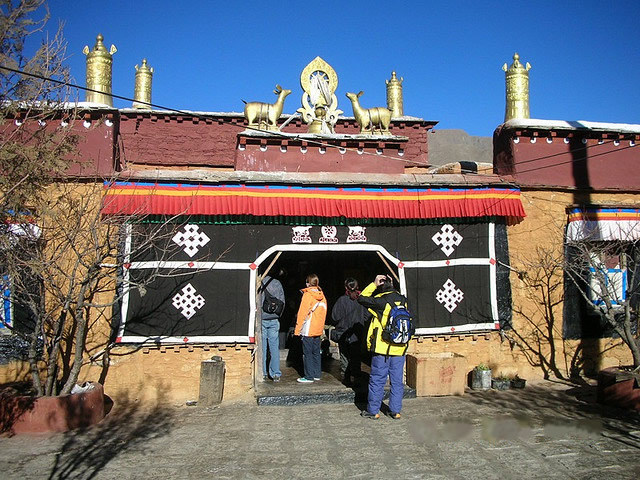 The prefecture has very unusual and rich historical monuments, natural geological features such as lakes and caves, scenic regions and religiously linked mountains. This has given a boost to the tourism industry. 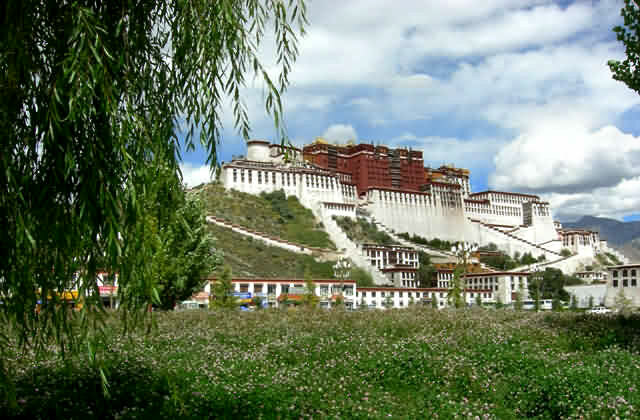 Some of the important landmarks are: the Lagyable Palace; the Yungbulakang Palace, the first palace in Tibet; the Tombs of Tibetan Kings; Jagsamqionpori, Gangobari of Zatong and Habort mountains, which are venerated; lakes such as Yamzogh Yumcog in Nagarzê County and the Lhamai Laco of Gyacha, which are considered as sacred; and religious places of worship such as the Do-rje-brag Monastery (also spelt Dorjezha Monastery), the Quamzhub Monastery which is under state control, the Samding Monastery, the Samyas Monastery (the first monastery built in Tibet), Quinpu Meditation Cave and the Zayang Zang Karst Cave. 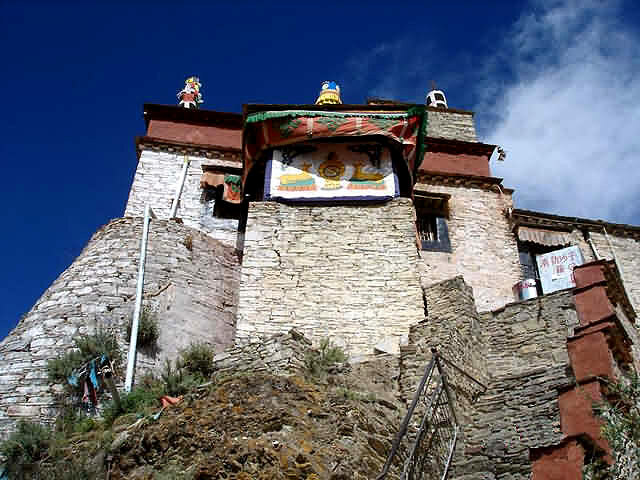 Some of the notable monuments and monasteries are in the National Heritage list. 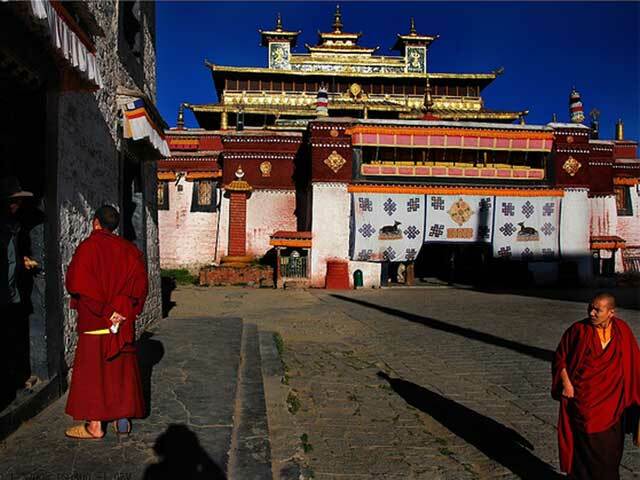 Many festivals are held in the Shannan Prefecture in its counties, cities, monasteries and villages to celebrate the harvest season, the New Year or Losar and natural elements such as birds. 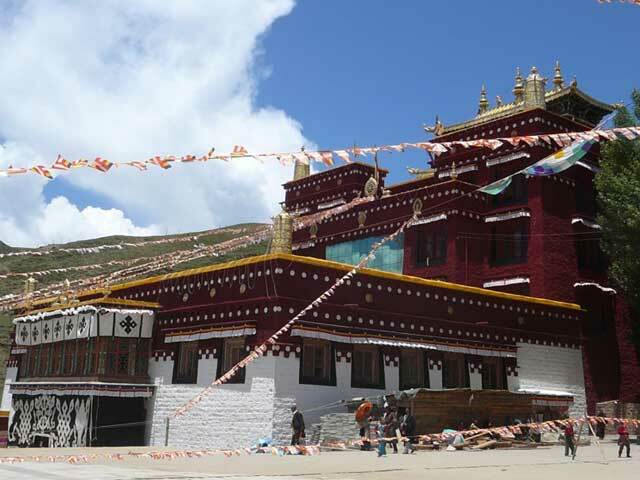 A colourful and widely celebrated festival is the Ongkor (Bumper Harvest) Festival which is observed in June according to the Tibetan calendar, in the riverine areas to mark good harvests of the season.